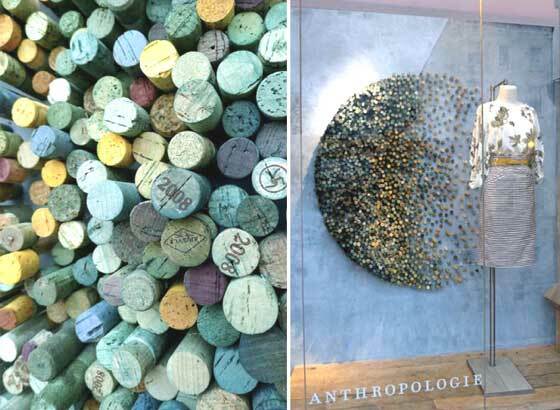 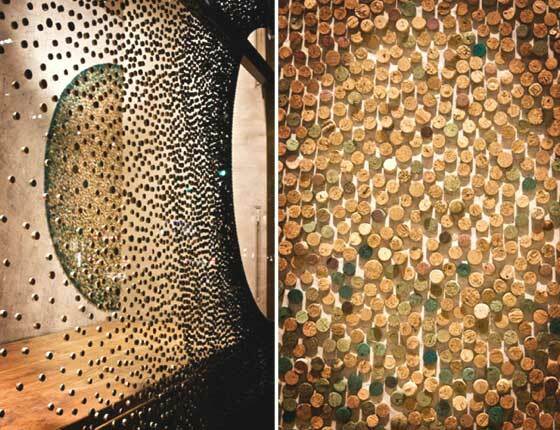 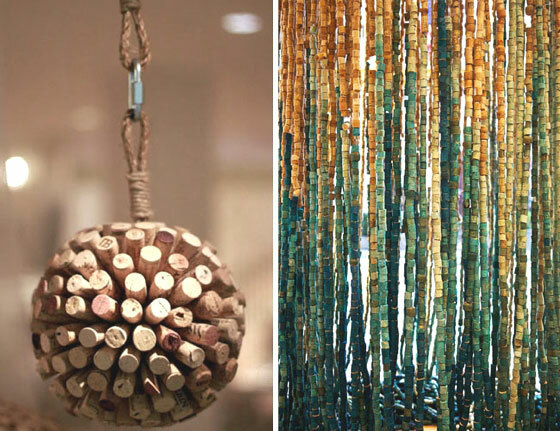 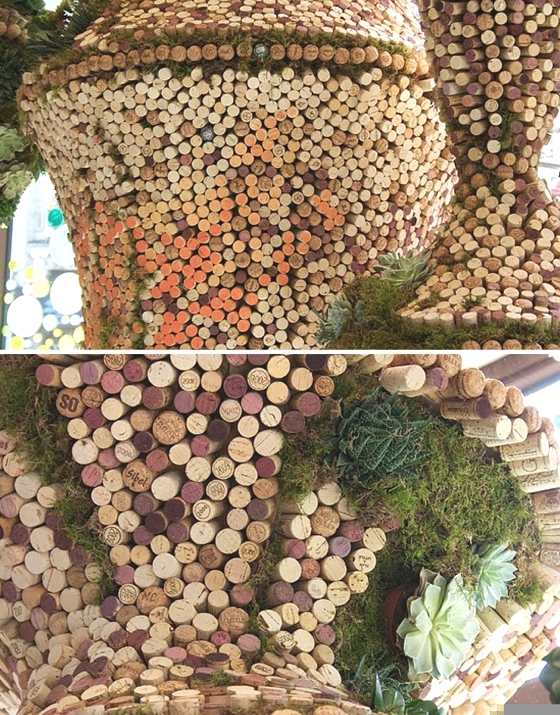 These patterns effects are really maddish: they are made with....corks! 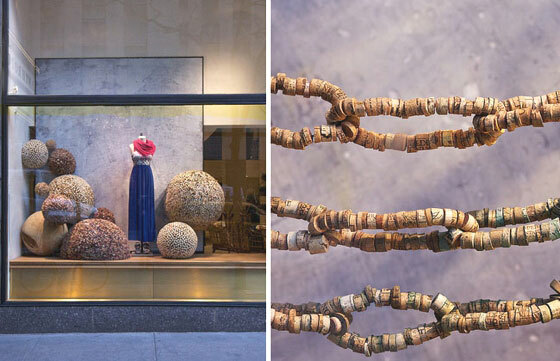 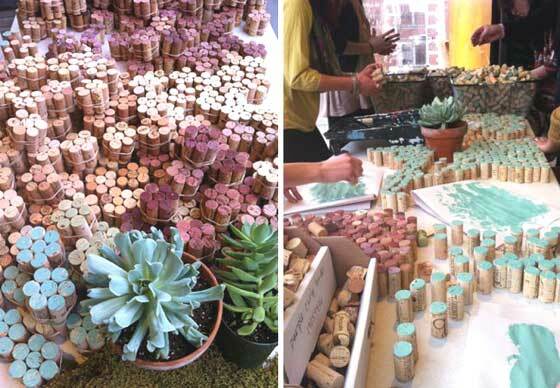 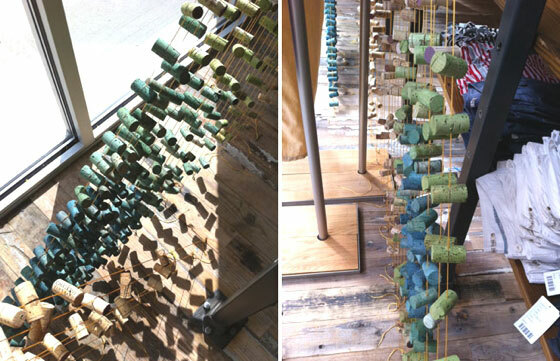 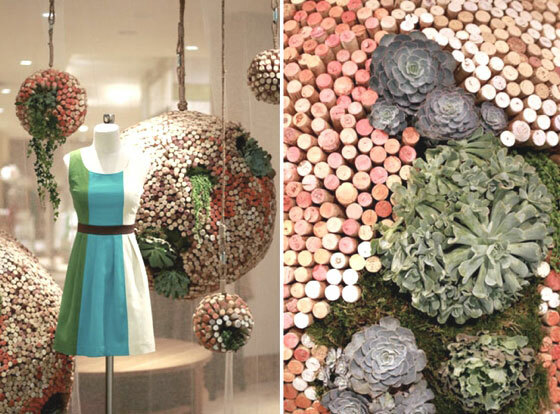 This is the look for the shop-windows in stores of famous company Anthropologie, in last spring, made to celebrate the "Earth Day". 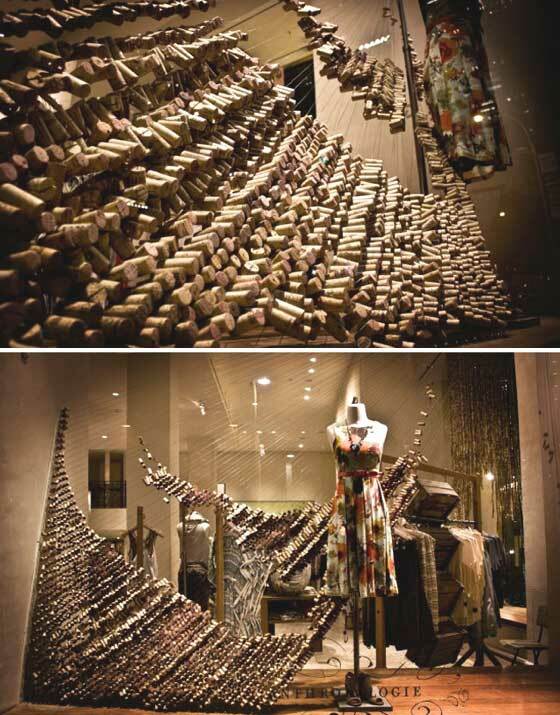 What a wonder!